The recycle bin appears empty when attempting to view the permissions as an admin user, despite the entries in the database. Improper permissions for the recycle bin can cause this issue. The following image shows default permissions that may not allow web admins to view files there. 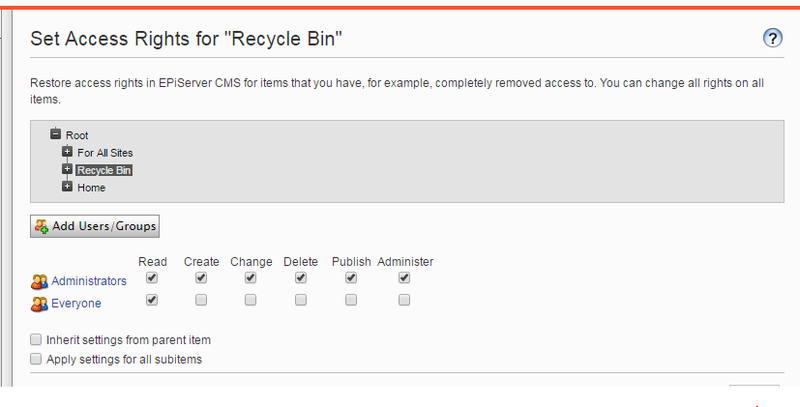 Add the WebAdmins role to the recycle bin with the Read/Create/Change permissions. If the user needs to be able to empty recycle bin (Empty Trash), add the Delete permission.